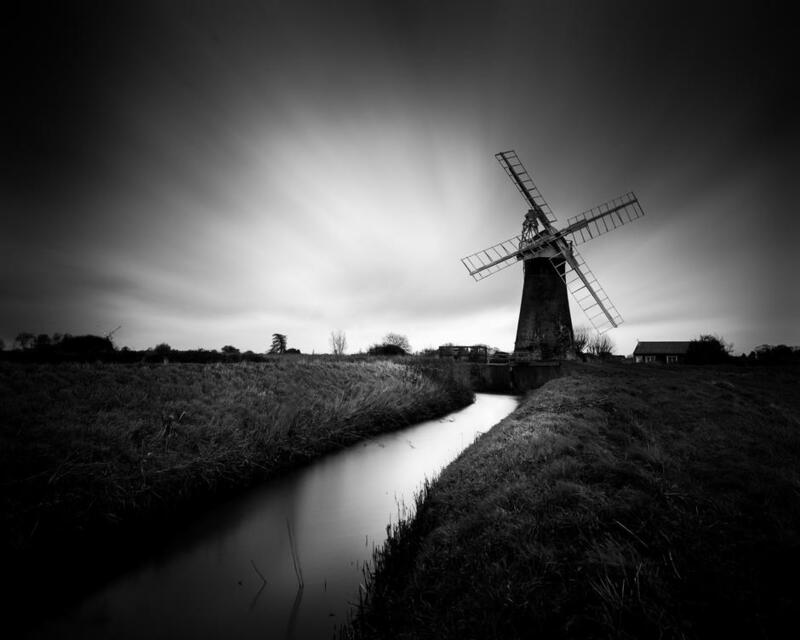 Landscape photographer Lee Acaster is one of the most popular photographers on our site with four Photocrowd wins to his name, three of them from the Crowd Vote. Here Lee tells us about his photography habits and inspirations. I've always had an interest in photography and got my first film SLR when I was at an art college studying Graphic Design. Though I always found it frustrating that my pictures rarely matched the image I was trying to create, and I rarely picked up a camera again until about three years ago. The imminent arrival of our first child prompted a move out of London, where I'd been living for 15 years, to East Anglia. The beautiful countryside and wide dramatic skies rekindled my interest in photography, and a birthday gift from my wife of a workshop day with a local landscape photographer proved to be the catalyst that suddenly enabled me to take the kind of pictures I'd always wanted. Whereas I knew all about aperture, shutter speed etc., the biggest lesson I learned was the patience that is required for landscape photography. 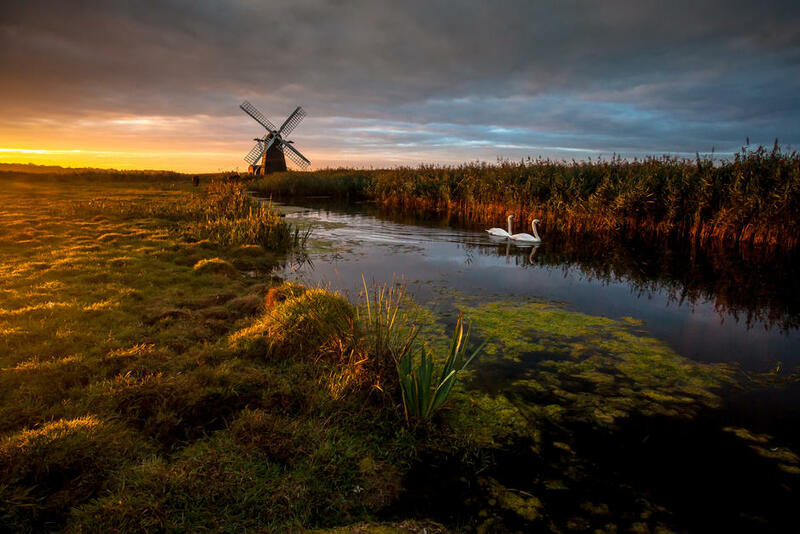 We were standing in the rain by a remote windmill in the Norfolk broads with our cameras set up on tripods and covered with plastic carrier bags, when the very small break in the clouds that we had watched approach for about twenty minutes suddenly illuminated the windmill in golden light against a brooding grey sky. The light only lasted about 20 seconds and then was gone forever. I didn't manage to get a decent shot as I had moved my camera at the last minute, but that was a revelatory moment for me. Previously I would have composed a shot, taken it and moved on, and then found myself with a pretty dull image that didn't capture the emotions I felt when I was there. Now I watch the sky to see where and when the sun or rain will transform the landscape, and often stand outside with a carrier bag over my tripod, getting battered by the wind and rain and getting very funny looks from people passing by. How often and when do you take photographs? My one- and three-year-old boys haven't learned the virtues of patience quite yet, so I don't get too much opportunity to shoot during the day when we are out on day trips. I mainly shoot at sunrise in winter and then towards sunset in summer. I check the weather the night before I head out for sunrise, set the alarm for some ungodly hour and head to a potential location leaving myself enough time to set up a composition I like, and then wait for the light to weave its magic... or not! What is your technical set-up? I recently upgraded my kit to full-frame, buying a used Canon 5Dmkii. I prefer prime lenses where possible, so I have a Canon 400mm, 100mm and 50mm, although I’d say 95% of my shots are taken with my Canon 17-40mm. The flat and open Norfolk and Suffolk landscapes are well suited to super-wide lenses, so I would happily trade it in for a 16 or 17mm wide prime if there was a suitable one. I have half an eye on a Zeiss Distagon, or a Canon tilt shift. Using funds from a competition I recently won I had another used 5D converted to infrared, and I’m in love with the mono images it has given me so far. I use a Giotto tripod when possible, but have a smaller Velbon, which I can strap to my camera bag when the Giotto is a little too heavy and cumbersome. I process my images almost entirely in Lightroom, occasionally using Photoshop if necessary. Probably my most important piece of kit would be my Lee Filter system. The polarisers, ND filters and graduated filters are attached almost permanently to my cameras. I find it much more satisfying to get a shot right in camera than blending exposures afterwards. I love many of the current landscape photographers out there, and take much inspiration from shots I see on some of the photo sharing websites. I have always admired the photography of Bill Brandt; not so much for his nudes and portraits, but for his less well-known gritty cityscapes. I used to have a poster of a cobbled street on my wall when I was a student - a very stark and graphic black and white minimalist shot. And I often find myself taking and processing my mono images in a similar style. Among your works, which one is your favourite? Why? I often prefer my most recent work, although I’d say my favourite shot is the one taken last year at Herringfleet Windpump on the Suffolk broads. It's a favourite location anyway, but on this particular day everything came together perfectly. I’d arrived at about 6am to set up before sunrise, and it wasn’t looking very promising: a bank of cloud was sat on the horizon, which threatened to stop any sun. But just after dawn the sun suddenly broke through, basking everything in golden light. Suddenly from seemingly nowhere two swans started swimming towards where I was set up. I’d been on a 5 or 6 second exposure, so had to make a frantic change of shutter speed and ISO in order to stop them blurring. From the light breaking through to disappearing again, along with the swans, only one or two minutes had passed, but for those couple of minutes it was a magical feeling, and I managed to capture it. Afterwards I realised that I had been surrounded by angry cows protecting their calves, and it took me the best part of an hour to edge my way to safety. 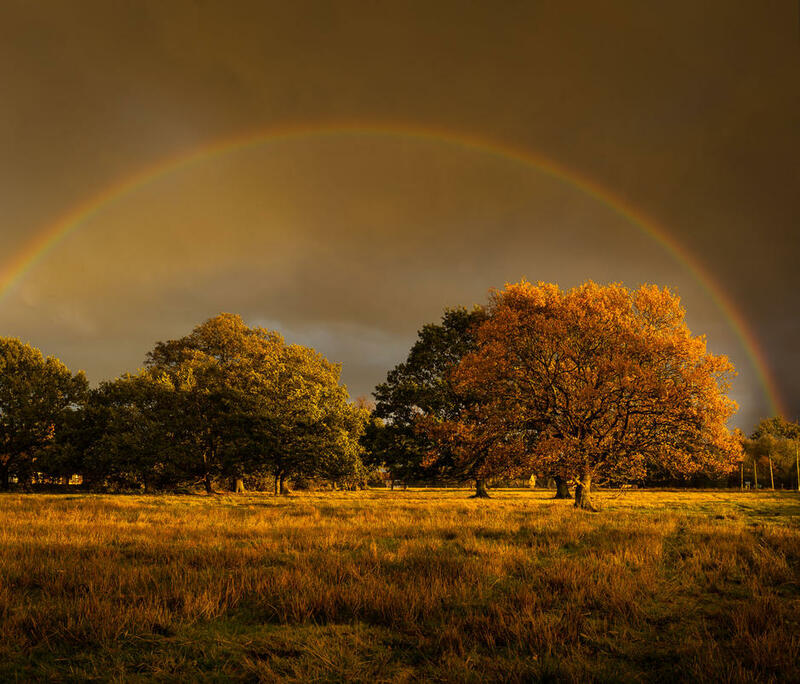 Who said landscape photography is a serene pastime? 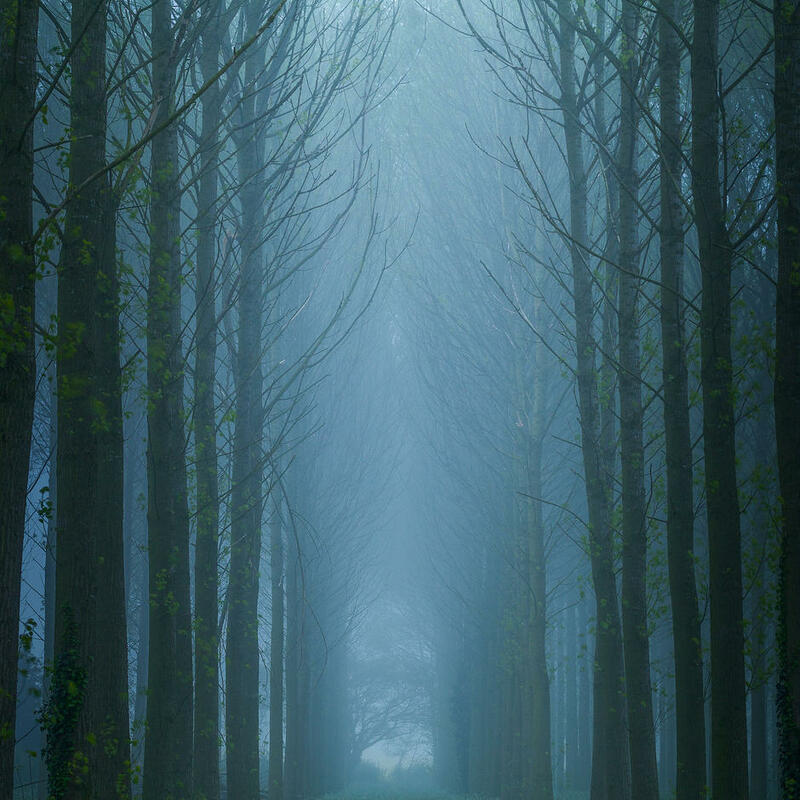 The photo has won an international landscape competition and a couple of other competitions, which was a real bonus. © 2014 Lee Acaster. All Rights Reserved. What do you get out of being a photographer? For my day job I am a graphic designer and run a design agency in London, so although I work in a creative industry I am very restricted by commercial and client restraints. Photography gives me a great outlet to produce work where the only person it has to please is me. I also love being outdoors, and there are few better feelings than being the only soul for miles around in a beautiful location when nature puts on a spectacular show. You can find more of my work on my website www.leeacaster.com. 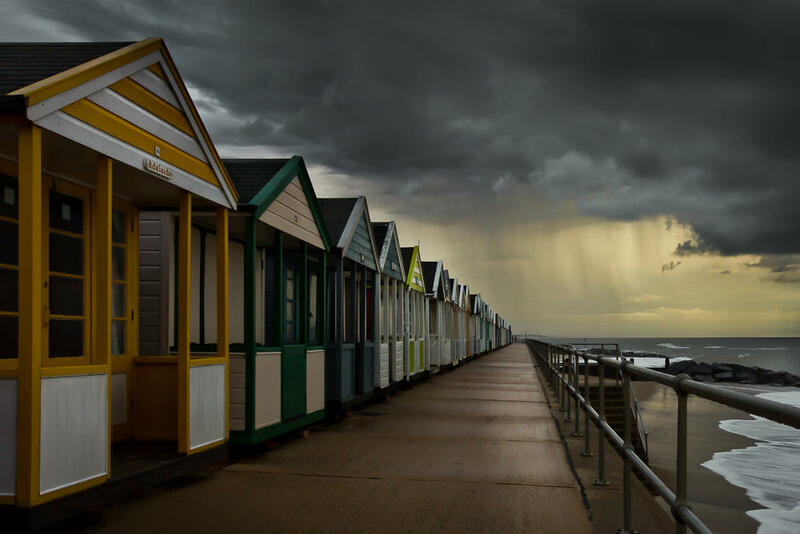 And I will be exhibiting a show of East Anglian Landscape photography called Wide Angles at Beyond the Image gallery in Suffolk in August 2014. Enter our photo contests to win great prizes. Register on Photocrowd for more great content.